Situated in the central Vietnam, Danang is a deep-sea port city that serves as the economic hub between the north and the south. 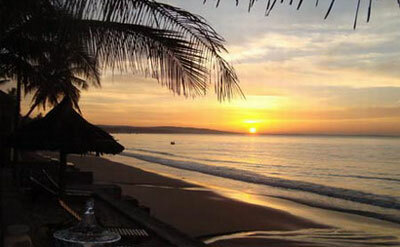 Geographically, Danang city marks the end of the tropical zone in the north and offers a pleasant year-round climate. It is good for swimming and relaxing on magnificent beaches all year round especially in summer from May to August because of the mild wave, the water temperature. Besides this, tourists can enjoy fishing, water-skiing, diving, golf playing and yacht race. The Mekong Delta, the world's top fertile area, consists of large rice fields. Thanks to Mekong delta, Vietnam has become the third biggest rice exporter. However, major activity here is boating. in fact, the only way to discover the Mekong delta is to join a boat tour through the canals. It is worth visiting one of the amazing floating markets. 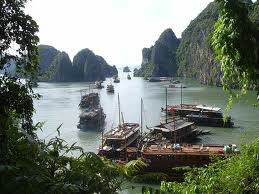 It is not good to do one day trip from Ho Chi Minh city, so think about two day trips or an overnight cruise. connecting to Halong bay, Bai tu Long bay is not less beautiful than Halong bay. Now, Bai tu Long bay is the hottest deal for the best Vietnam tours. Discover this bay from luxury travel style to adventure offering amazing Vietnam holiday. Surely, an exceptional Vietnam holiday is waiting for you.